In 2012, we created the Fair Education Impact Goals. These are five targets which, if achieved by 2022, will substantially reduce educational inequality. The goals follow the educational journey of a child from primary school through to higher education and employment. 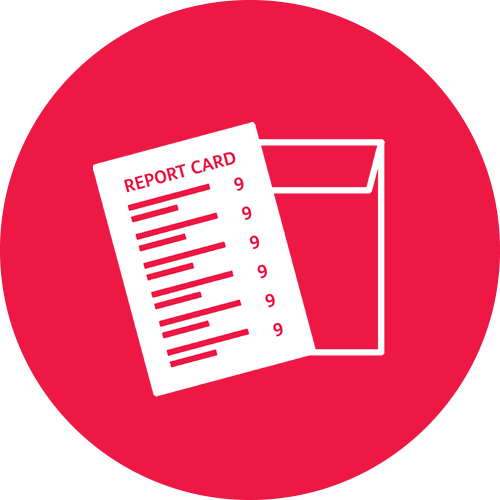 We measure progress against them every year, and present our findings in our annual report card. Our 2018 Report Card found that the gap in primary literacy and numeracy had marginally narrowed since 2017. The biggest improvement was in the East of England, but this was offset by a widening of the gap in the West Midlands. Progress has slowed in the last couple of years. Our 2018 Report Card found that the gap in GCSE attainment had narrowed for the sixth year in a row, by 0.7 months since 2017. However, some of this improvement is likely to have been caused by changes to the subjects pupils were entered for in 2017. The biggest progress has been made in London and the South West, where there was an average decrease of 3 months. We exclusion data is used as a proxy for wellbeing because of proven links between the two. Our 2018 Report Card found that the rate of exclusions in England continues to rise at an alarming rate, with students on free school meals four times as likely to be excluded than their peers, slightly down on 2017. Our 2018 Report Card found that in 2015/16, the gap between those from schools serving low and high-income communities remaining in education after their GCSEs remained at 7 percentage points, having widened fractionally since 2014/15, but by less than 1 percentage point. The gap in broader ‘positive destinations’ including work-based training had remained at the same level since 2013/14 and stands at 6 percentage points. Our 2018 Report Card found that the gap between the most advantaged and the most disadvantaged students entering university remained very large, at almost 40 percentage points. The most advantaged students are almost four times more likely to go to university, and ten times more likely to go to a top university.